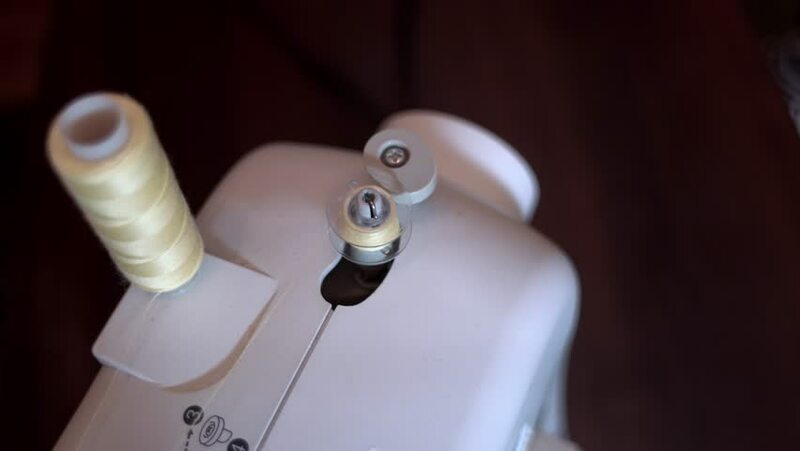 hd00:21The thread is wound onto the spool on the sewing machine in slow motion Sewing needle. For concepts such as fashion and design, work and industrial. hd00:23Locking and unlocking of a metal deadbolt on a white door.